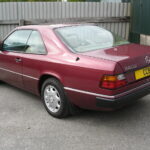 Almandine Red metallic, cream leather interior, 4 speed switchable auto, electric tilt/slide sunroof, central locking, 4 x electric windows, leather covered steering wheel and gearknob, front and rear headrests, front and rear armrests, correct pattern original 8 hole alloy wheels, recent Sony radio/cassette player, all original tools and manuals, full service history, three owners, only 32,000 miles. 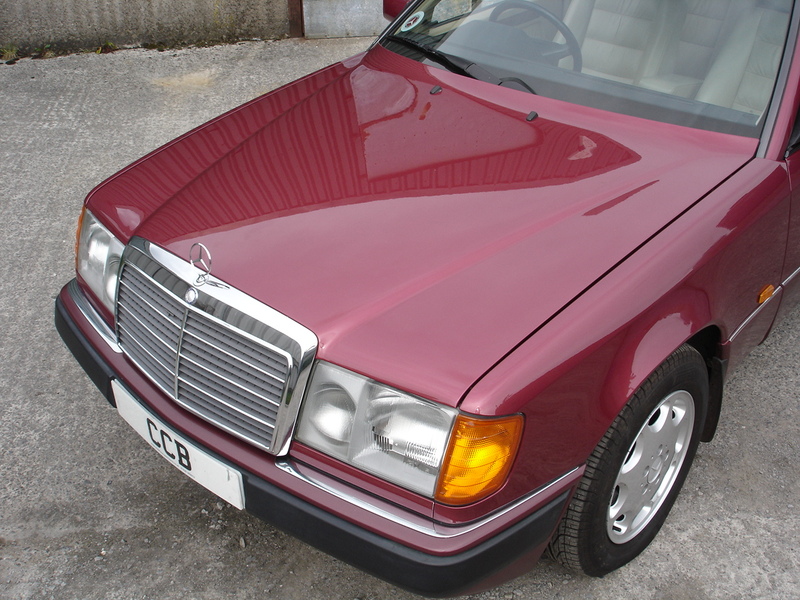 Where can we start when describing this extremely desirable motor car? 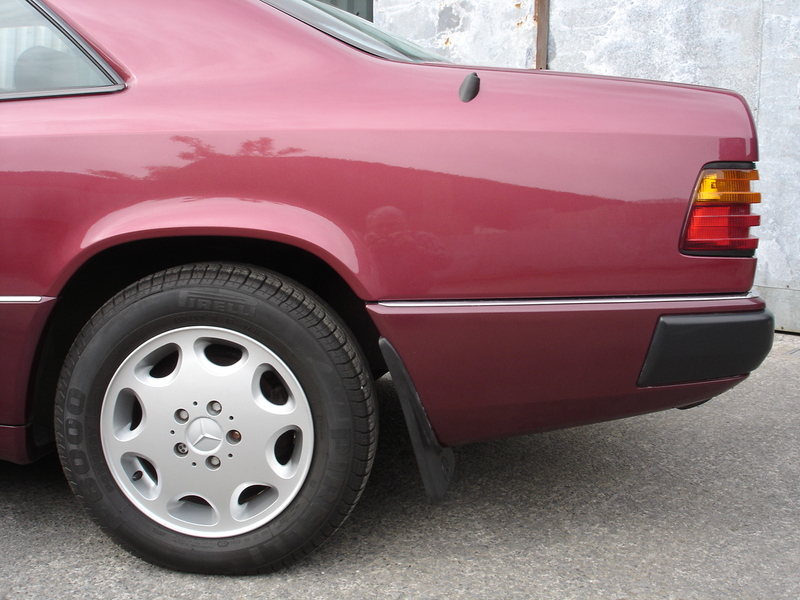 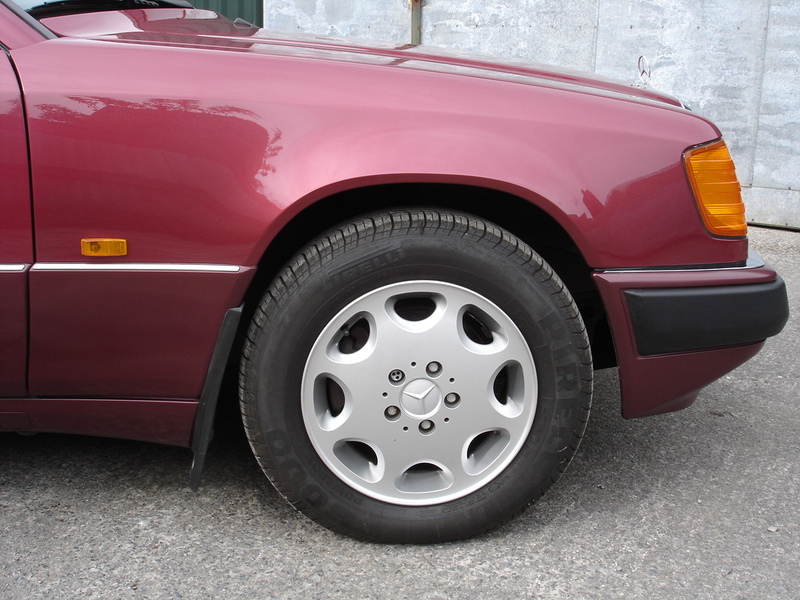 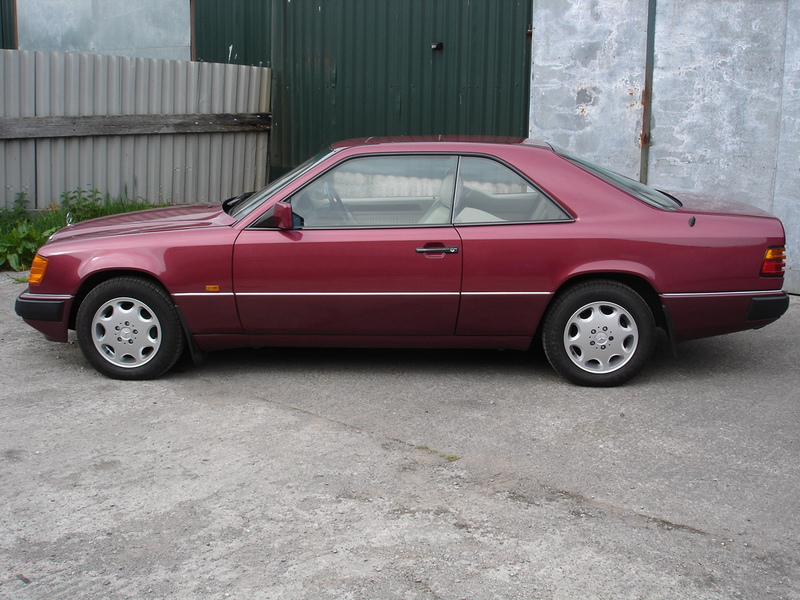 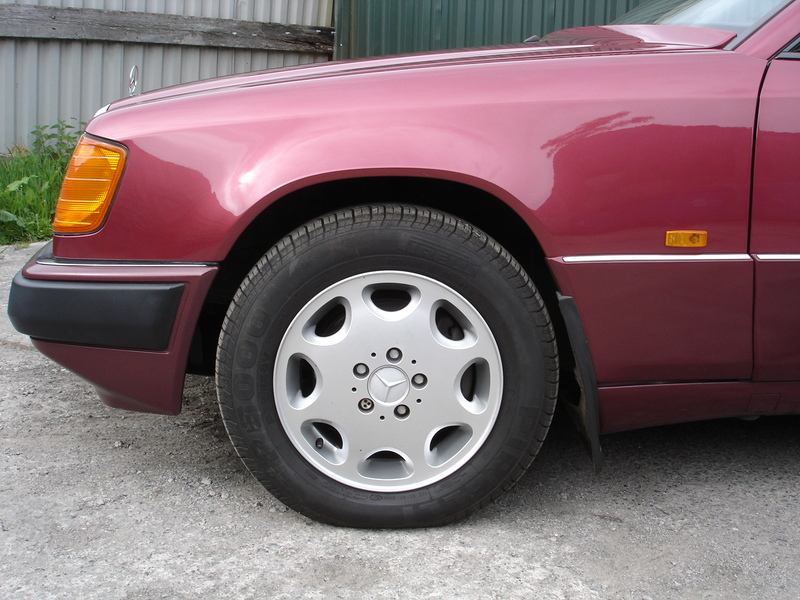 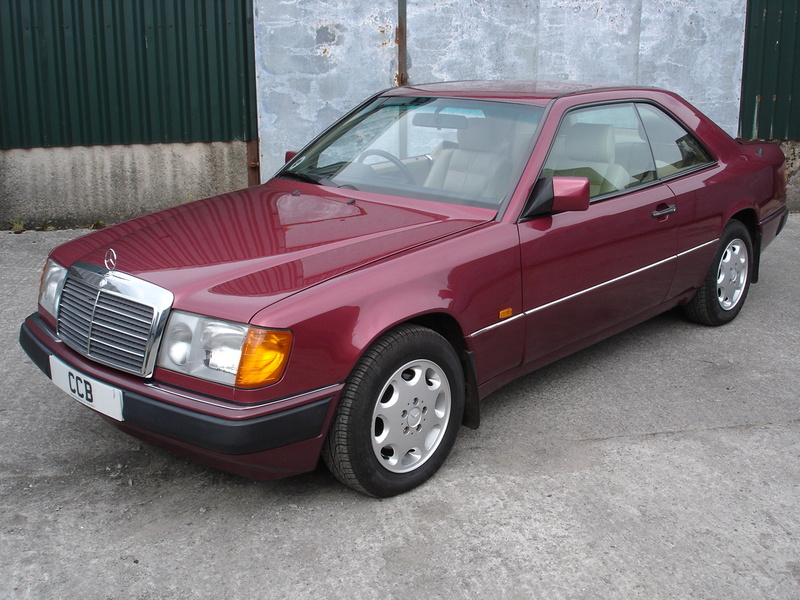 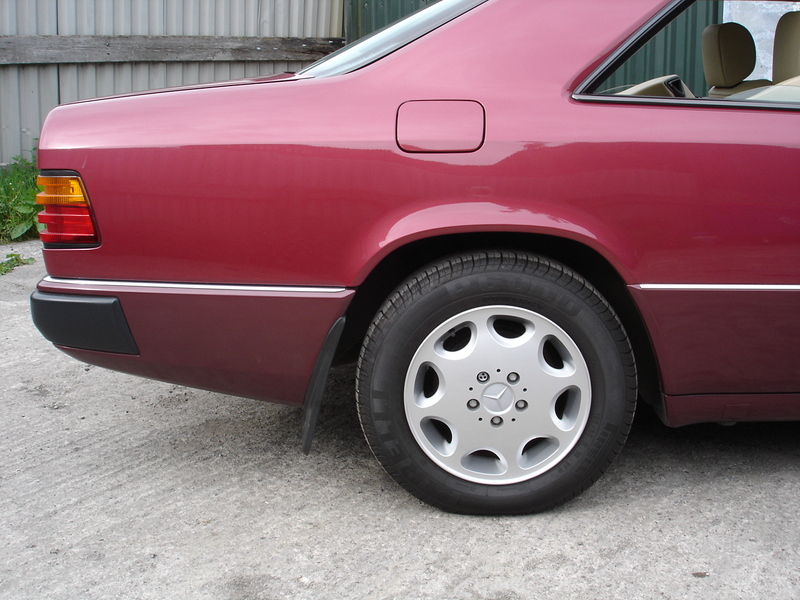 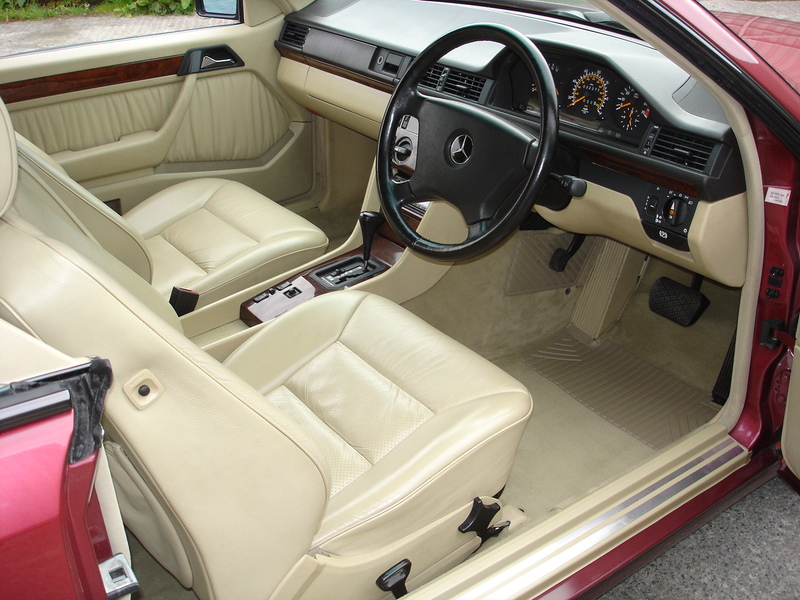 Firstly, whilst the W124 coupe is not the very rarest Mercedes model of this era, it is most certainly one of the rarest to be found in such pristine condition with such a low mileage covered. 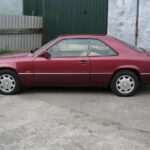 The simple reason is that they are such capable and enjoyable cars to drive that owners tend to rack up the miles without really noticing. 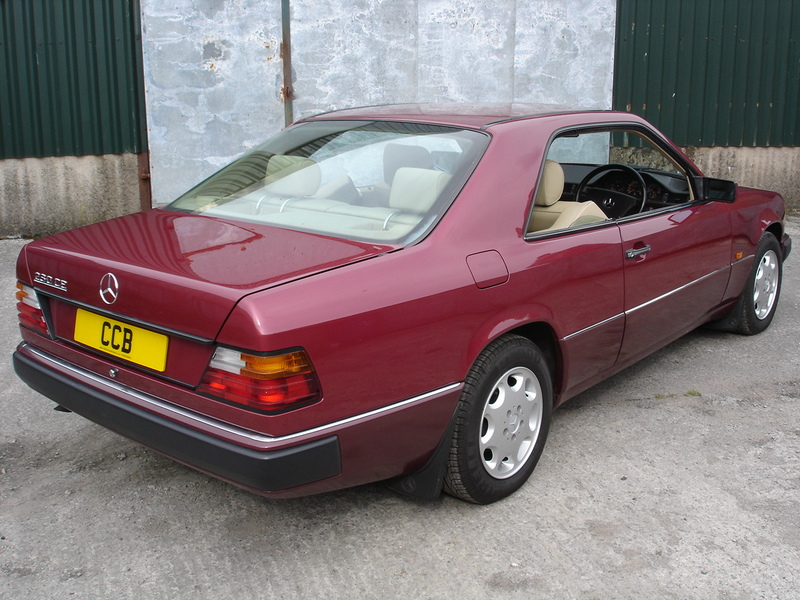 The condition of this car is what most people would describe as mint, though it is a term we don’t like to use as no 25 year old car can truly be indistinguishable from new. 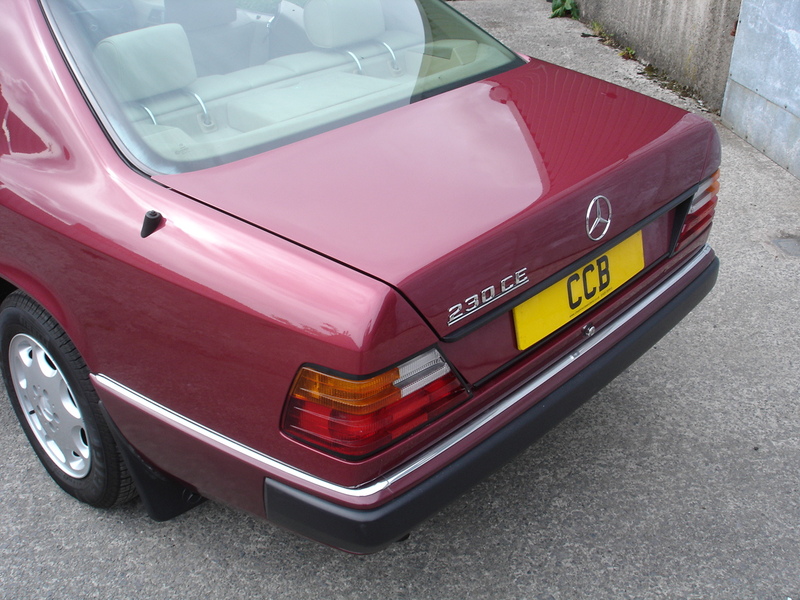 Having said that you would be hard pressed to find a mark on it anywhere, and having recently driven it over 50 miles we can truthfully say that it really does look, feel and drive like a new car. 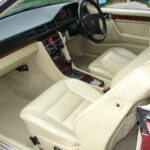 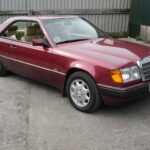 It was supplied new by London Road Mercedes-Benz of Romford to a local gentleman in August 1992 who kept it for 11 years until December 2003. 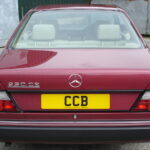 It was taken over by his business colleague in Exeter who owned it for a further 8 years until May 2011. 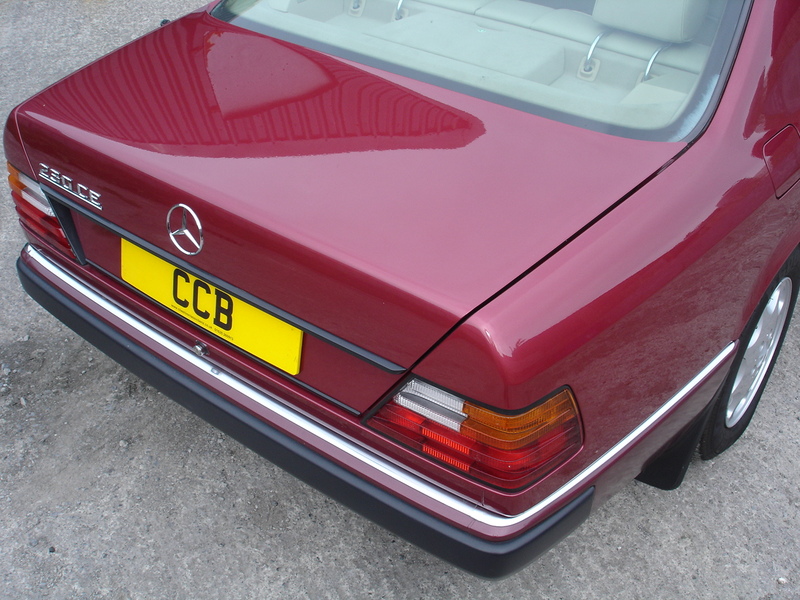 At that point we purchased it and supplied it to its latest owner, a gentleman in Littleborough, Lancashire, who has owned it until now. 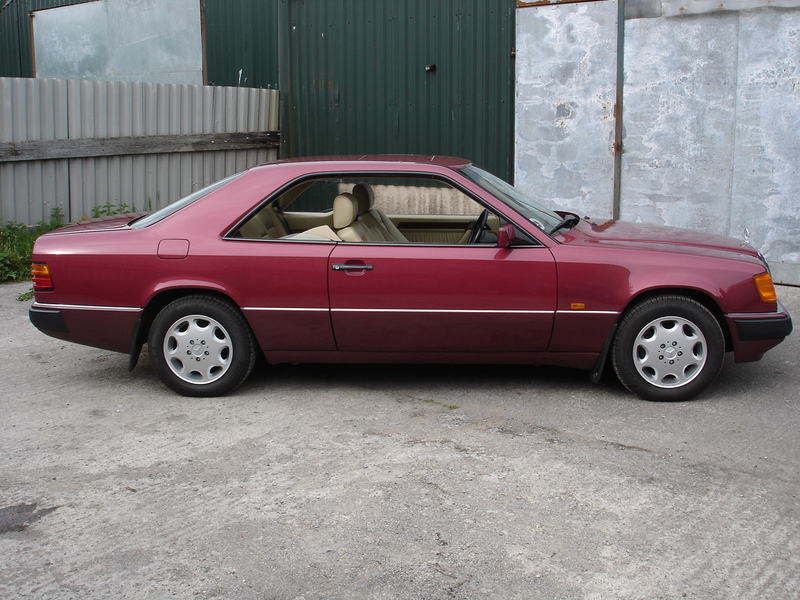 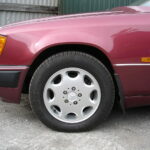 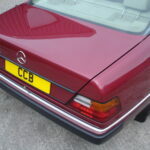 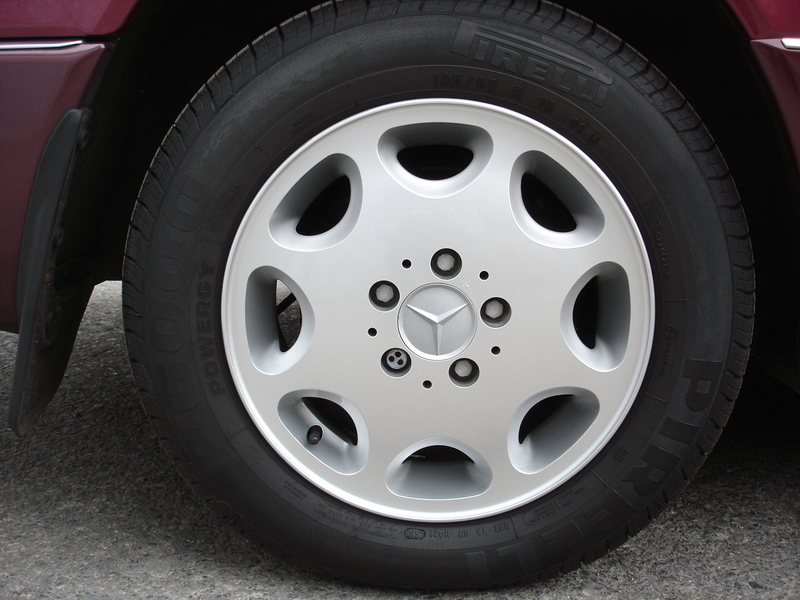 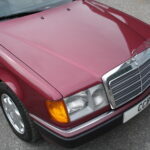 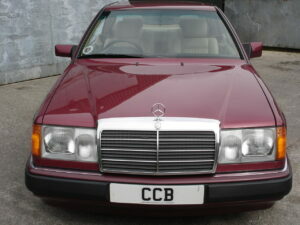 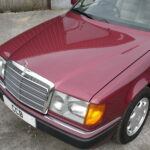 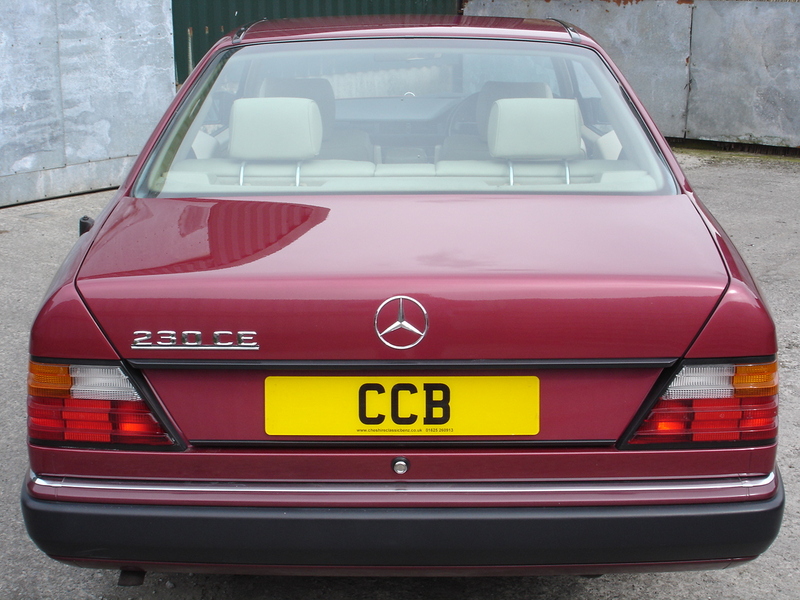 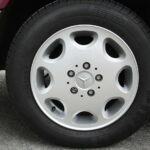 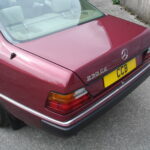 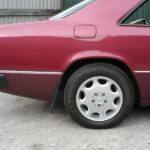 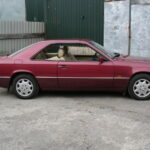 It has four stamps in the book by the supplying dealer, two from a trusted local garage in Exeter who looked after it for the second owner, and one from an independent Mercedes specialist. 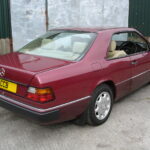 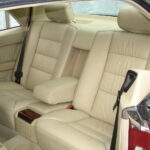 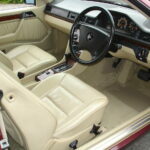 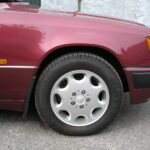 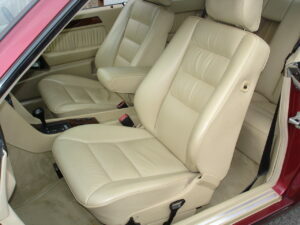 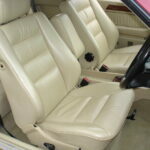 All servicing has been done at the correct mileage intervals. 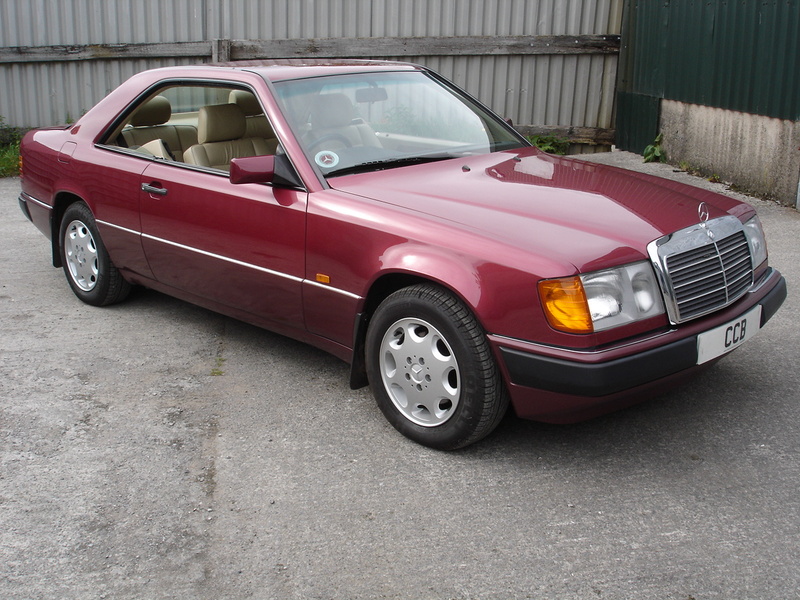 We will be servicing it again before it goes to its new owner, making it ready for a further 6,000 miles before any scheduled maintenance is due. 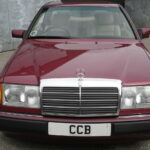 We have many old MOT certificates dating back to the very first one in 1995, and the original new car sales brochure. 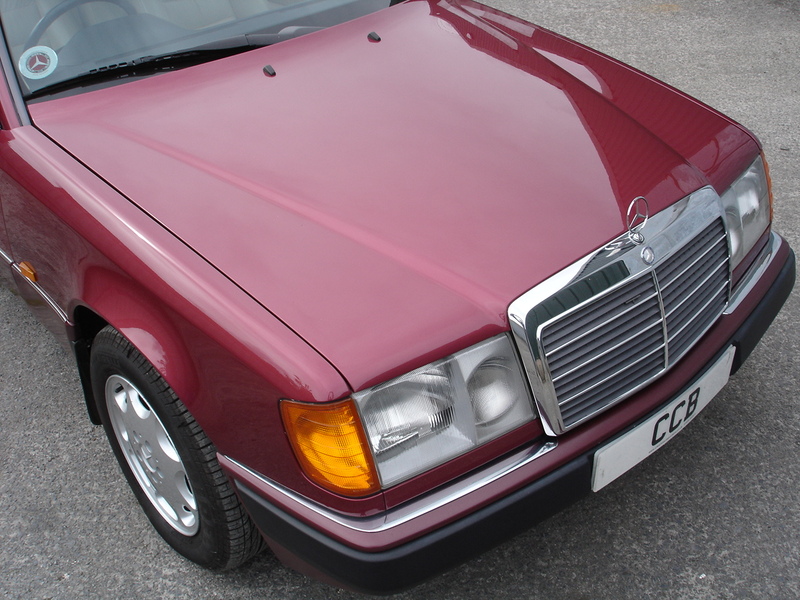 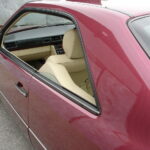 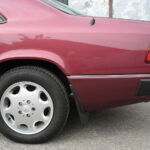 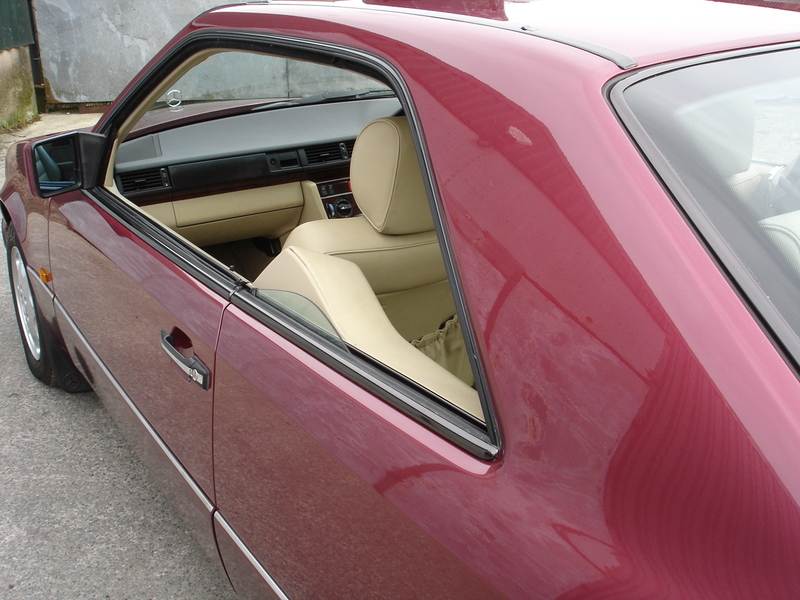 The car looks very elegant in the subtle metallic burgundy colour with the darker lower panels, which is absolutely unmarked. 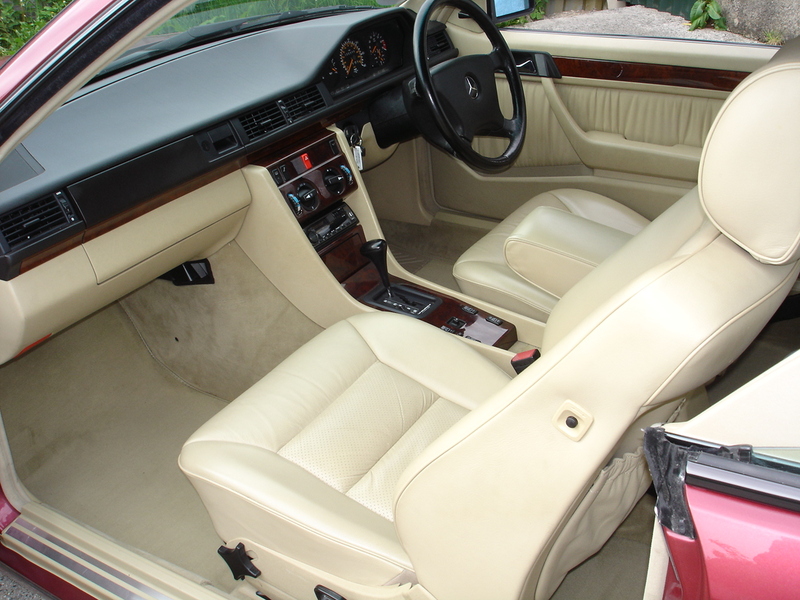 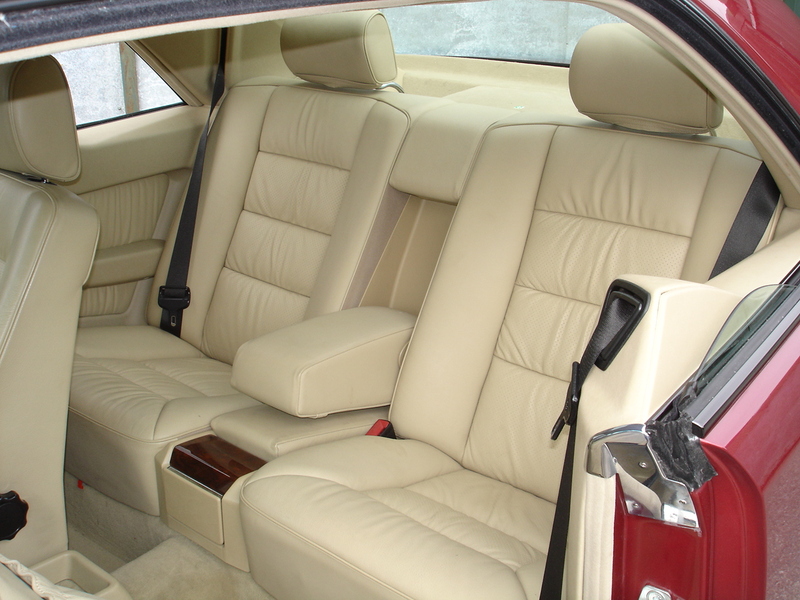 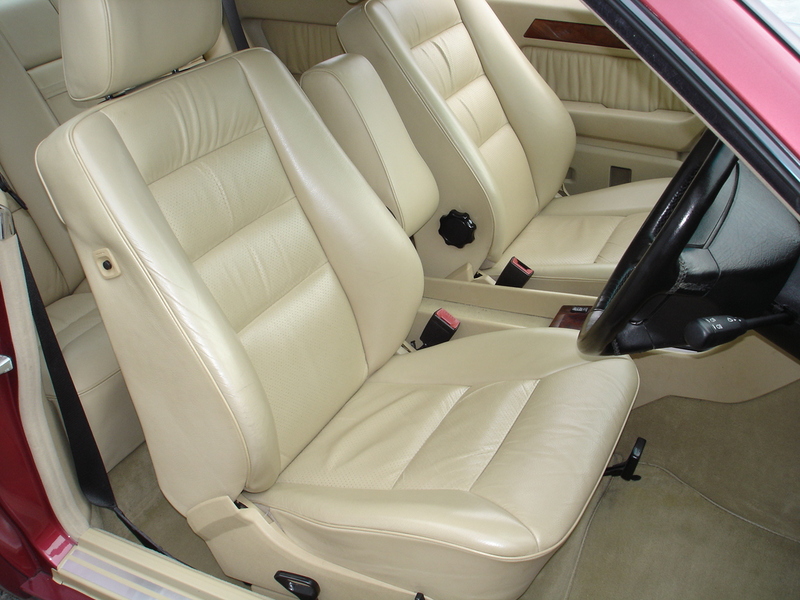 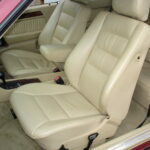 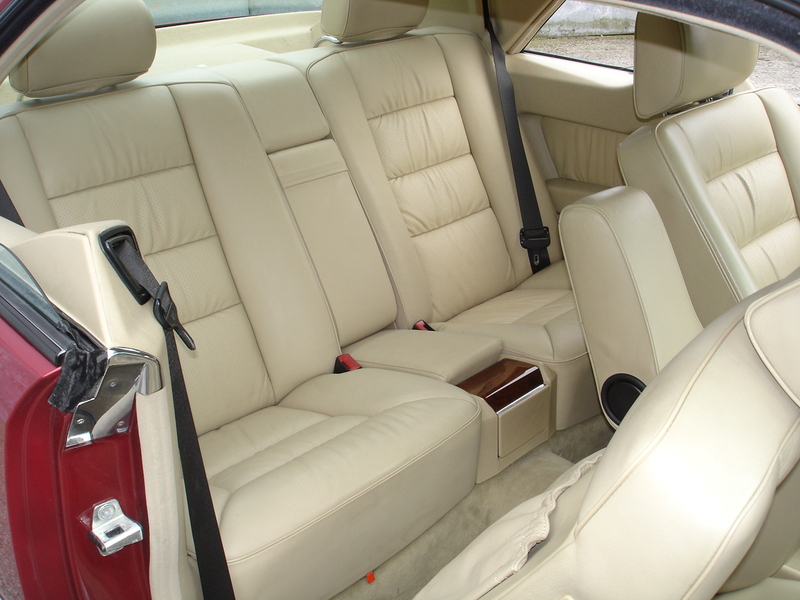 This is complemented perfectly by the pristine cream leather interior, the surfaces of which still have that new car look and feel. 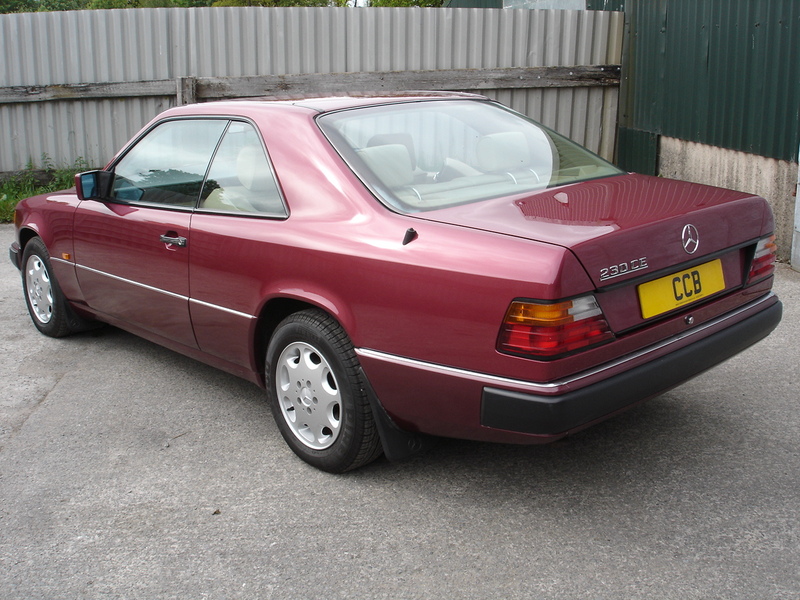 This must be one of the last opportunities to acquire a hardly used E Class coupe for a sensible sum, now that the model’s peerless build quality and classic status have been well and truly recognised. 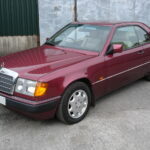 Regardless of whether the new owner keeps it as a low mileage gem or uses it sparingly as an everyday car it will deliver many years of pleasurable returns, far in excess of its modest purchase price.